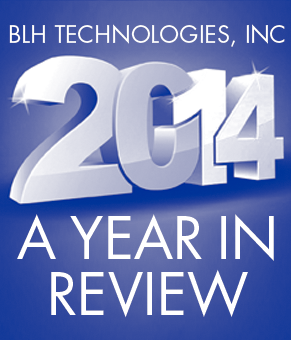 BLH Technologies, Inc. 2014 Year in Review | BLH Technologies, Inc.
As 2014 comes to an end, BLH looks back and reflects on a busy and productive year. BLH staff members continued working on several exciting projects and initiatives and received contracts to work with new client agencies, thus allowing us to contribute to various domestic and international public health and safety and technology efforts. BLH continued expanding our global reach and contributed to several international research projects, including several in low- and middle-income countries (e.g., India, China, Indonesia). Similarly, BLH has continued to work with our clients to develop and disseminate high-profile global research reports internationally. BLH staff members attended and presented our research at conferences, including the mHealth Summit, the Annual Meeting and Scientific Sessions of the Society of Behavioral Medicine, Annual Meeting of the American Public Health Association, Office of Family Assistance Annual Meeting—Healthy Marriage and Responsible Fatherhood Grantees, and the National Veterans Small Business Engagement Meeting, among several others. In addition to presenting at domestic conferences, BLH staff members contributed to scientific posters and presentations that were delivered at various international conferences, including the International Conference on Waterpipe Smoking Research in Doha, Qatar; the World Cancer Congress in Melbourne, Australia; and the National Conference on Tobacco or Health in Mumbai, India. Further strengthening our workforce, several employees earned advanced degrees and certifications this year. Some of these include a Ph.D. in Human Nutrition, Project Management Professional certification, Certified Government Meeting Planner, and classes in cross-cultural business communication.